How the Congress can win the 2018 elections? The verdict on the Gujarat Assembly elections has come out on December 18, 2017. There are certain crucial issues which remained, at best, under-reported, hence relatively less known, There have been institutional subversions, even before filing the nominations could begin. The Election Commission announced the dates and schedules for the concurrently happening Himachal Pradesh elections but chose to delay the announcement of the schedules for the Gujarat elections. It appeared to have become partisan towards the party in power, putting the Election Commission and its autonomy into dock. As it came out, understandably, this was to let the Union government announce many sops for Gujarat, specifically for urban segments, where it eventually performed much better. The Prime Minister of India put the winter session of Parliament on hold and he and his cabinet plunged much deeply into campaign as almost everyone of them had stationed in Gujarat, leaving New Delhi. Instances of wilful institutional weaknesses did not stop there. During the course of the campaign, the Prime Minister accused his predecessor, along with few others who had hold very high offices of the Union previously, that they had connived with an enemy nation, against the incumbent PM as well as to defeat his party in the province. It raises very serious question: an accusation of high treason against a former PM is made public retrospectively in a public meeting for election campaign. Why did the PM remain silent on such a grave issue of national security for so long? Why did not he take appropriate legal action against those he made accusations? Why does not he produce prima facie evidences to these effects? All these issues need to be taken care of by the political parties in fray, as well as by the civil society, particularly when few more provinces are about to go for polls in the next few months. These are: Karnatak, Madhya Pradesh, Chhattisgarh, and Rajasthan. Incidentally, all these provinces have more bipolar polity (Congress on one pole, and BJP on another) than many other parts of India. In Karnataka, the Congress has to fight its incumbency whereas in other three provinces the BJP has to fight its own incumbency. Just as there were visible rural discontent against the ruling BJP in Gujarat, the ruling Congress is facing massive peasant discontent in Karnataka. This is despite the fact that the Congress government of Karnataka has already waived peasants’ loans up to Rs. 50 thousand. Let it be recalled that the coastal Karnataka, often referred to as the “laboratory of Hindutva” in south India, has already been witnessing communal polarisations since 2013, to the extent that even “a tiny scuffle here, something as insignificant as a minor road accident, has the potential to snowball into a mid-sized riot. Social media and a section of the region’s vernacular media contribute to the spread of paranoia and consequent violence”. (Frontline, September 30, 2016). In Gujarat, the Congress has been out of power for the last 22 years. It however reached out to forge alliance with the three young leaders belonging to three distinct social groups, and also aligned with a tribal party. It also practised almost a politics of untouchability against the Muslims, in order to avoid anti-Muslim polarization. Yet, it was given a mandate only to sit in opposition. It did not have a chief minister face to contest election in his/her name. The Congress lost as many as 16 seats, with very low margins of few hudred to three thousand votes. These were the seats where NOTA, NCP and BSP too secured as many votes as to keep the Congress little away from power. It points out pathology about the Congress. It has historically been extremely reluctant about forging alliance with smaller parties, if it is a dominant pole in a bipolar polity. In 1937 and 1946 elections it did so; in the “post-Congress era”, since the 1990s, it has almost invariably been doing so—arrogant and reluctant against forging prudent coalitions. This is unlike the BJP, whose rise to power is a big story of coalitions, not only in the Vajpayee era but also in the era of NaMo hegemony. For instance, even in Uttar Pradesh it forged alliance with smaller outfits such as Suheldeo Party, and swept the biggest province in March this year. This is the most significant point to be driven home to the Congress and to every other party opposed to the BJP. Is Congress prepared to throw a leader (chief ministerial face) in each of the abovementioned provinces going for polls? Is it going to co-opt some leaders from various social groups in those provinces? Will it align with smaller outfits in those provinces? Offering the posts of Deputy Chief Ministers and other such tangible offers could be of help to it. The Congress also needs to realise the fact that the majority community, nowhere in the world, needs electoral symbolism; hence the ridiculous politics of temple-hopping, and janeu demonstration, will be of no help. Such symbolisms and tokenisms work only to the minorities and the vulnerable segments who are desperate to be counted. Rahul may be misled by his silly advisors that out of 22 temples he visited in Giujarat, at least 18 of those seats were won by the Congress. He must be wise and visionary enough to see through such statistical trappings. 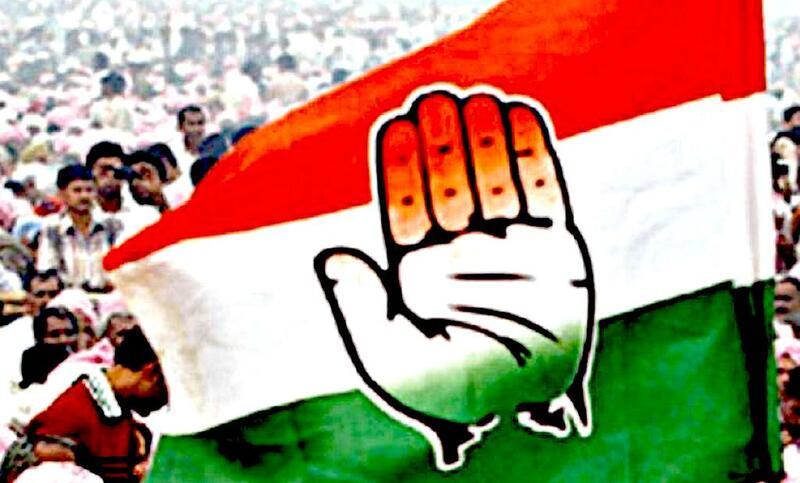 The strength of the Congress is its history and conviction for plurality, rather than for majoritarianism. At this historical juncture, the Congress also needs to learn from USA and other such democracies of the world, where lines are clearly drawn between the Republicans and the Democrats, as to which of the social groups and classes will form the core of its policy preferences, and leadership. The urban rich, upper middle classes of the majority community, big businesses, trading communities, etc., have gone over to its competitor, BJP. The Congress may look up to the Dalit-Bahujans of various denominations, the lower OBCs, and the tribes, not only in terms of delivering certain welfare measures when in power, but also in terms of taking them into the leadership, and the organisational structures. The Congress shall have to take some brave-tough decisions to give a new social face to the party and its leadership composition. Various columnists/reporters have been informing the nation in this regard. Ajaz Ashraf (Scroll.in, dated December 18, 2017) has said that by February next, the BJP will split the OBC reservation of 27% into three layers, 9% for each layer. This way, it will enlist support of the OBCs. One may surmise, it would consider splitting the Dalits and Tribes also into such layered groupings. By the end of 2018, the Ayodhya verdict may help BJP polarise the scenario just before the next general elections. Another tactical ploy of the BJP would be: the local functionaries of the ruling BJP, have been indulging in many kinds of intimidative exercises to keep those segments of electorates either away from exercising their franchise or to coerce them to vote only for the ruling party. This is as much as disenfranchising the said electorates. Such accusations were there against the Left Front regime (as well as against Mamata) of West Bengal when they were said to have hijacked and appropriated the Paras and Addas of the province, populist state funding of which ensured cooption of unemployed youth (Mastans or hoodlums, “the local gangster—who has emerged as a hero in West Bengal’s towns and villages, worshipped by inhabitants out of a combination of fear and patron–client relationship”) as party workers. (Sumanta Banerjee, EPW, Sept 3, 2016). Revati Laul (The Wire, dated December 20, 2017) and Dhirendra K Jha (Scroll.in, dated December 11, 2017), have brought out realities which must alarm all those who stand for democracy and plurality. Jha reported the ways of “disenfranchising” in Gujarat, by “Forcing Muslims to stay away from polling booths making them part with their voter ID cards or sending them out in luxury buses to Ajmer Sharif on the day of polling is only one way of ensuring their low participation in election… rumours are spread about communal flare up on the day of polling” who watch elections with deep anxiety who buy peace by not exercising their electoral franchise and sit at homes. About this scenario, Dr. Hanif Lakdawala painfully complained to many journalists that Muslims buy peace in Gujarat by surrendering their votes to majority triumphalism. This triumphalism has touched such a menacing point which is testified by the two Yadav youths, who responding to the New York Times (July 12, 2017) said, “[we] felt that Modi would allow us to kill Muslims… [who] were scared. But nothing happened. When Yogi became chief minister [of UP], they were scared again….If you talk too much, we will kill you. This is our saying for Muslims”. Such voices are no longer from lunatic fringes, nor they any longer hollow threats. Now, when the Karnataka elections are to be held in April, Yogi Adityanath, the chief minister of UP has issued divisive and polarizing statement invoking Tipu Sultan, the 18th century [Muslim] ruler, the moderniser of Mysore (in Karnataka). To sum up, Indian democracy is face to face with many dangers where plural co-existence is gravely threatened by the rising assertion of majoritarian reaction. Europe came out of this danger during the 1930s, only by paying heavy prices of material and human losses subjecting its ethnic, linguistic and religious minorities to severe persecutions. Now, such persecutions are underway in the whole subcontinent: India, Pakistan, Bangladesh, Afghanistan. This violent extremism and palpably exclusionary nationalisms are the biggest threat to the humanity in this part of the world. It needs a deep re-thinking, so that the region can overcome these problems and could unitedly move ahead with peace and prosperity! Hope, this optimism is not misplaced, given the civilizational character in its history. Professor Mohammad Sajjad is at the Centre of Advanced Study in History, Aligarh Muslim University; he has published Muslim Politics in Bihar: Changing Contours(Routledge, 2014) and Contesting Colonialism and Separatism: Muslims of Muzaffarpur since 1857 (Primus, 2014). Can Pasmanda Politics Ignore the Communal-Secular Debate?